​ Hi everyone. It’s been awhile since I made a post. Things are going ok here in the great state of Texas. For anyone who actually used to read my stuff… I didn’t end up being roommates with that woman that I love. I was, and continue to be distraught about it from time to time, but that’s life. And far too complicated to get into right now. I found a place to rent about a year ago and have been there ever since. I still work daily and hang out with her as much as I can. But with being continually pushed away, I have had to find something to keep my mind off of it. Because when you live alone, have really only one friend and they start pushing you away it’s easy to start to lose your mind. Anyway, I digress, I have started making my crafts again. Some of you might remember the snakeskin stuff I was making for awhile but those were chance encounters where I couldn’t let the snake live. Not a very reliable medium. Lol. 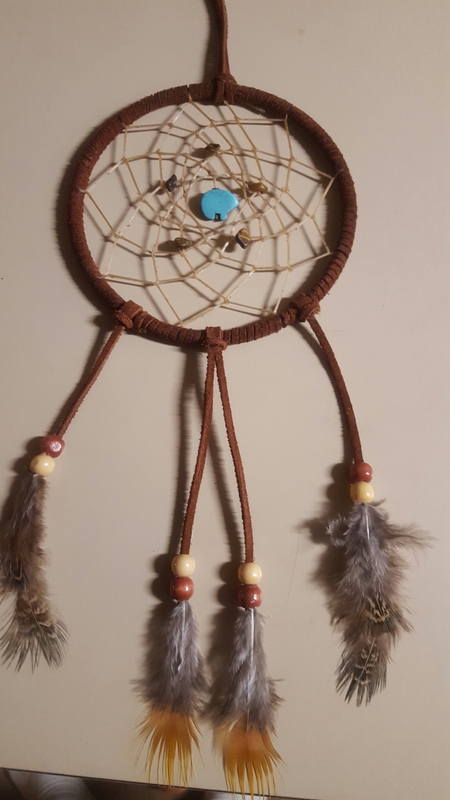 I am making dreamcatchers again and have started making wooden rings as well. Woodwork is different than anything I’ve ever done, and it can be frustrating… but as I make these things and they take shape, and even sometimes get sold (yes, I have sold a couple. I’m actually pretty excited) I gain experience and skill. This brings me one step closer to my goal of eventually making crafts for a living. I have a few more steps to take before I can open an online shop, and I’m still not sure what I should ultimately charge for my items. 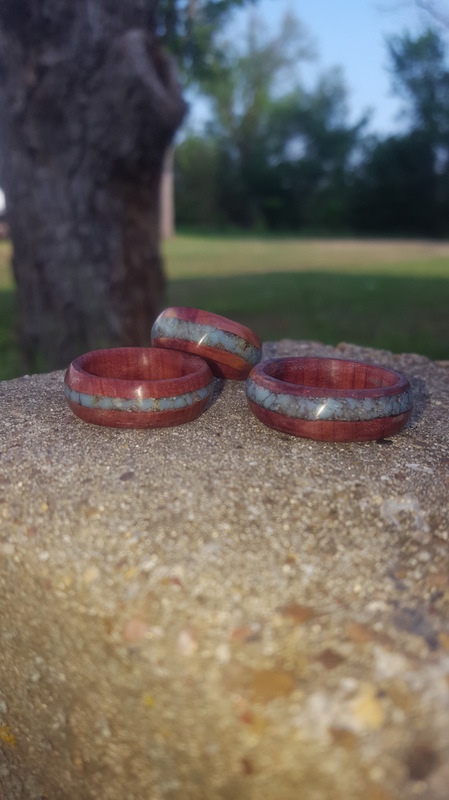 They take many hours to make considering the biggest power tool I use is a dremel… but I have seen very expensive rings made by hand that I believe my skill level is starting to approach. I only have cedar to work with right now, and it can be a big pain compared to other woods… but it’s so beautiful after the finishing process. I also do stone inlay around the band’s and am trying to experiment with other designs for the inlay.